Chocolate has a rich history and many forms! 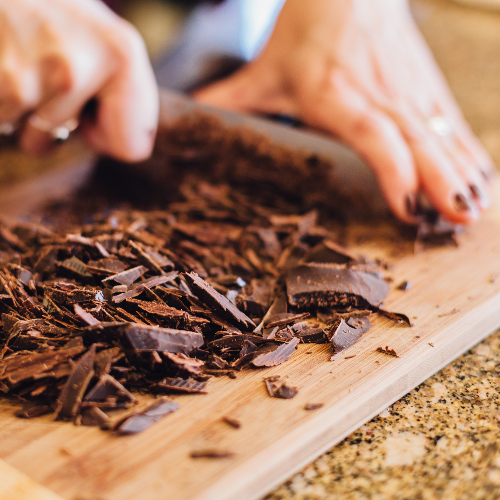 We will share the savory and sweet details with you as you learn the basics of working with chocolate: how to melt, seed and temper chocolate for making your own homemade treats. Enjoy savory nibbles and wine pairings as you sample your sweet creations. Take home a unique decorated box of your own chocolate dipped treats to share with your sweetheart for Valentine’s Day.